Fronts of surgical instruments are manufactured in our company which are made of ABS containing flame retardant additive and the complete house of defibrillators is made of ABS PC Blend (25 % glass fibre). The quality control is made by the sample given by the customer and with the knowledge of the given tolerances. We check each product. For our customers producing foodstuffs (candies) we manufacture from PP, PS, PA6 (30% glass fibre) raw materials. 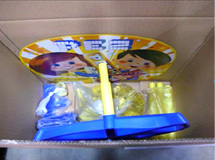 Quality control operates in 2 phases in terms of greater security: manufacturing (every 2 hours comparing with the sample, assembly test) and packaging (there is check of pieces before putting them into cardboard boxes).We directly deliver the packaged products to any countries in the world (Japan, South- Africa, Brazil). 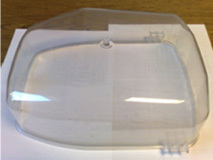 Shells of street lamps are manufactured from waterclear PC or PMMA (plexi) raw materials. The most important part of the quality control is to reveal any scratches on the surface. Every piece is checked before packaging. 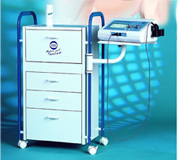 Shells and different part of cosmetic machines are manufactured from ABS raw material. Besides the size tolerances of the products the surface quality is the most important factor because the pieces are polished. The pieces are checked every hour. The whole shells of consumer electronic products are manufactured from PS raw material. The finished pieces get under a very high quality control. Assembly test and colour control are made every 20 product next to the machine then the smaller part are fixed to their final place with a solder which has a pneumatic slave cylinder. In the last control phase the location and operability of the buttons are checked. We also manufacture linen for building of rail roads from HDPE raw material. There is quality control in every 2 hours: placing into the sample, size check, aesthetic control. Manufacturing is fully automatic. Products manufactured for German export are made of PP and PS raw materials. Every product is checked during manufacturing + after cooling down every 15 product is re-checked by pallet. In the automotive industry we inject the stationery and stand feet to wood panels with the so called “backward moulding” in a half-automatic plant. Raw materials are PA6 GF40 and ABS GF20. Every product is checked with a tester. Presently parts for Audi, Porsche and Hyundai cars are being made. For our Austrian customer the complete houses of industrial electronic devices, control units and remote controls are manufactured. 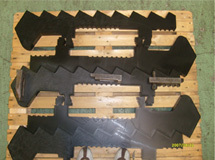 Raw materials are PA6.6, PA6.6 GF30, PA6.6 GF25, PA6 ABS, TPU.